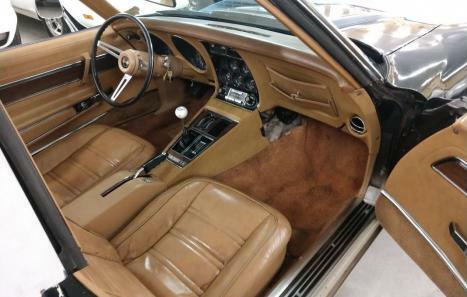 Numbers matching, very rare L82/350 motor, 25,000 miles on dash (title is exempt for mileage), medium saddle leather interior, 4 speed manual transmission, Gymkhana suspension, X-A/C, rear window defogger, power steering, power brakes, power windows, original valve covers, Hurst shifter, and much more. 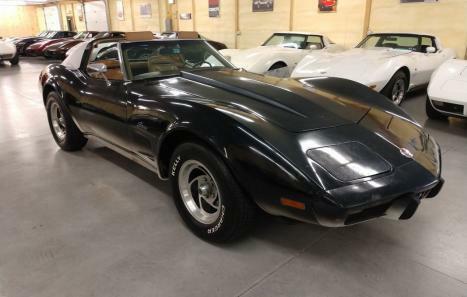 This corvette has been sitting in a barn since 1980. We changed the oil and filter, rear end grease and additive, and checked and lubed the chassis. The last owner replaced the 4 brake calipers, master cylinder, 4 rubber brake hoses, 4 sets of brake pads, and full exhaust. We replaced the sway bar links, fiberglass rear bumper, alternator, and much more. 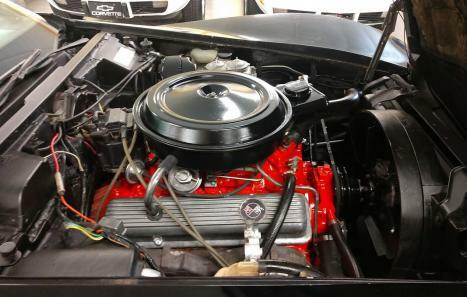 1975 was the lowest production year of the L82 engine option, with only 2,372 total production out of 38,465 corvettes produced that year. 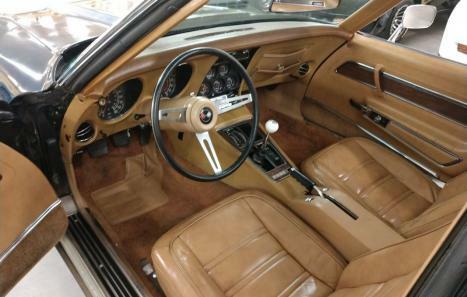 GM also only released 3,194 with Gymkhana suspension, 9,992 4 speed manual transmissions, and 8,007 in classic white in 1975.